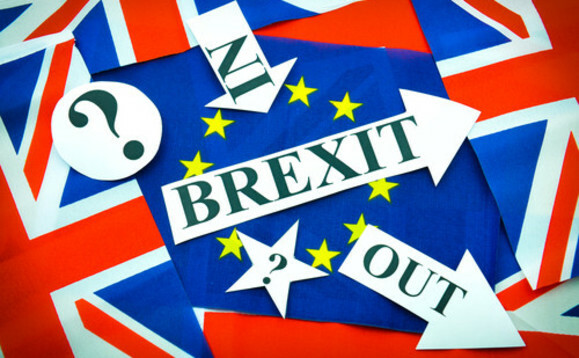 AIFMs: What operational changes after Brexit? UK-based Alternative Investment Funds Managers (AIFMs) are beginning to come to terms with the operational changes they may have to make, in order to continue to access EU investors after Brexit – potentially on 29 March 2019. It’s now clear that negotiations with the EU will be a long and arduous process and the outcome for investment firms may not become clear for some time. Firms should begin to make their preparations sooner, rather than later, to retain access. The potential outcomes for UK financial services post-Brexit are wide ranging – from the significant challenges that could be the outcome of a “no deal” Brexit, to the UK being given an approved “third country” status, to a very soft Brexit in which the UK’s financial services industry carries on much as before. Given the current political uncertainty in the UK and the robust mood music around the negotiations being made by Brussels, it is almost impossible to predict what the outcome will be at this stage. Experts agree that there is some risk the UK may be “frozen out” of the EU markets for a period during the transition. European regulators are moving ahead with preparations since there is an expectation of a significant increase in AIFMs based in the EU27, many of which will be associated with UK firms. The European Securities and Markets Authority (Esma) published an opinion at the end of May, directed at EU27 regulators. While the opinion doesn’t go further than the current EU legal position, we would characterise it as a “reminder” or “starting point.” Overall, firms will not be able to operate so-called “letter box entities”, which is considered to be a nominal AIFM entity in an EU jurisdiction. The bulk of activities is then outsourced to the UK or another jurisdiction. It is clear that many UK firms who initially expected the EU27 route to be relatively simple, and perhaps expected many EU27 regulators to roll out the red carpet may now find this unlikely. What this means is that cost of forming and maintaining an in-house EU27 AIFM is clearly going to be higher than expected. One may think that this is great news for firms that rent out AIFM hosting services, also known as AIFM ManCos. However, ESMA is also asking regulators to focus on these firms and raise standards significantly. The biggest problem has been in the risk department of these firms, which often was designed to accommodate the simpler and less flexible Ucits environment. ManCos are being asked to be prepared for significant interest in the next 20 months, but without the certainty of new business, they are unlikely to invest heavily until nearer the time. Clearly the in-house versus outsourced route needs to be researched carefully. It is important to understand how each EU27 regulator will handle the application process, and what substance requirements exist. When researching ManCos, firms should focus on capacity and expertise, but also conflict management, and reputation. An important difference between UK27 and UK ManCos has been the pricing structure, where the Ucits roots show clearly in EU27 firms that tend to price using basis points, or fee sharing structures. UK ManCos have traditionally used fixed price, which significantly assists the management of conflicts, and more closely adheres to AIFMD requirements with regard to the compensation of the risk function. It is common for participants to wait for clarity when facing big regulatory or political change. However, firms that want to retain access to EU investors should start to investigate a solution now, even though the trigger does not have to be pulled for at least a year. This is because the availability of capacity for whichever solution is chosen is unlikely to exist if left to the last moment. This issue will continue to be hotly debated, for example, recently the UK’s Investment Association (IA) reviewed the Esma statements and questioned it. I will continue to follow this subject, so keep an eye out for further updates coming from me.